Hot on the heels of revealing plans for an iOS app design and development facility in Bengaluru, Apple on Thursday local time announced the opening of an office in Hyderabad tasked with accelerating development of Maps products for iOS, Mac and Apple Watch. The new development center will create up to 4,000 jobs, with employees set to work on Maps updates and new features to be applied to iPhone, iPad, Mac and Apple Watch, the company said. "Apple is focused on making the best products and services in the world and we are thrilled to open this new office in Hyderabad which will focus on Maps development," said Apple CEO Tim Cook. "The talent here in the local area is incredible and we are looking forward to expanding our relationships and introducing more universities and partners to our platforms as we scale our operations." 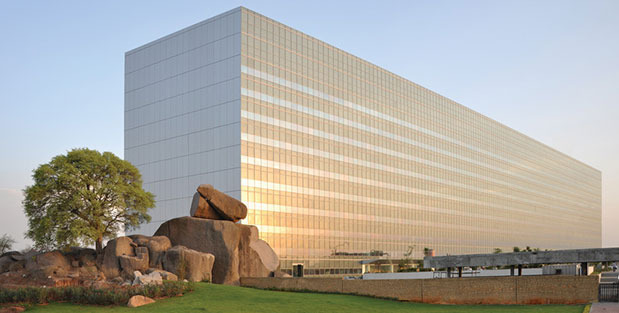 As detailed in a February report, Apple is taking up residence on the Waverock campus positioned in Hyderabad's tech corridor. At the time, reports claimed Apple was spending $25 million on the project, though the figure has not been confirmed. As part of the announcement, Apple revealed that it supports more than 640,000 iOS app developer jobs and related positions in India. On Tuesday, plans for an upcoming iOS design and development accelerator in Bengaluru were announced. When the facility opens in 2017, local developers will be able to hone their coding skills with the help of industry experts. The pair of announcements come as Cook tours India, the second leg in a trip to Asia that began with a stop off in China. He is rumored to meet with Indian Prime Minister Narendra Modi later this week.